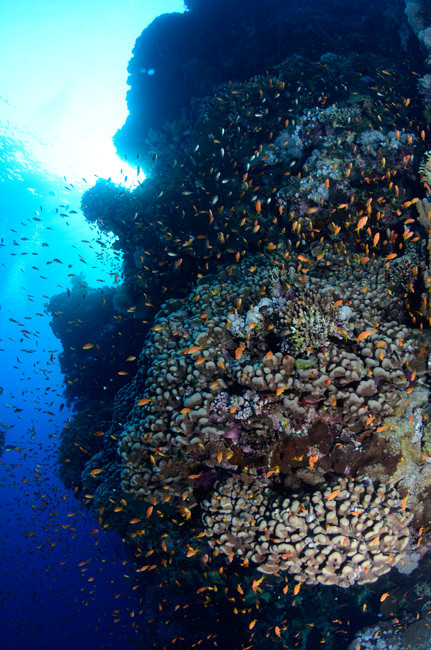 Highlights The Fury and St Johns itinerary focuses on the most astonishing reef dives of the southern Red Sea - St Johns, Fury Shoal, Rocky and Zabagad - departing from Hamata or Port Ghalib. 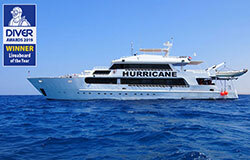 The Fury and St Johns itinerary focuses on the most astonishing reef dives of the southern Red Sea. Departing form Hamata or Port Ghalib you can now enjoy more time in the deep south - travel less and dive more! 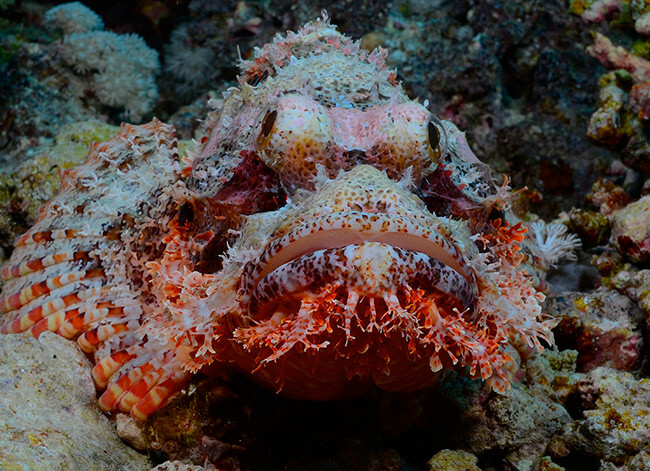 With Emperor as your home for the week, the Fury and St Johns itinerary is perfect for every diver with the possibility of up to 21 dives in a single trip. Jump aboard for a week of unadulterated relaxation and quality reef diving from start to finish! 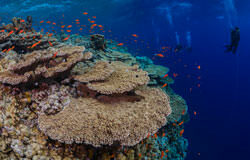 Start with the distinctive hard coral gardens of Fury Shoal. Here famous sites such as Shaab Claude and Maksour will fill your log book. There are even small wreck dives at Abu Galawa Soraya and Abu Galawa Kebir! Head down into St Johns to get your wall diving fix. The twin delights of Habili Jaffa and Habili Ali are ideal for shark spotting. Gota Soraya and Gota Kebir also boast pelagic sightings but make sure you leave time to play with the swirling glass fish hiding in the cracks and overhangs too. Rocky and Zabagad complete the wall dives. Afternoon and night dives are scheduled on this itinerary and there is no where better than Abu Bassala or Dangerous Reef. 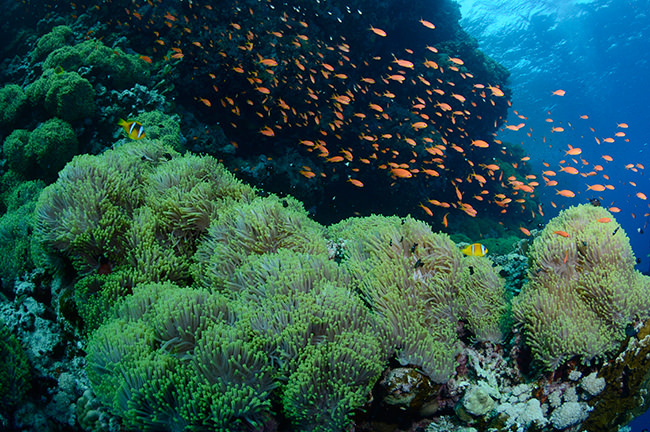 Find the splendid anemones and watch the clown fish dart in and out. Keep your eyes out for turtles throughout the trip. And make sure you test your cavern diving skills at the many sites with shallow cave systems that run through the shallows. The Fury and St Johns itinerary is suited to most diver experience levels. This is a 21+ DIVES itinerary. You must be a PADI Open Water diver or equivalent to do this trip and you are expected to be able to complete each dive with your buddy or following the guide. The guides may not enter the water and remain onboard as surface support for some dives. We recommend that you hold a minimum of 30 logged dives to get the best from this trip and you should be comfortable with drift dives. Currents can be strong. All your diving is made from zodiacs to give precise entry and exits points. Experienced divers can dive in a buddy pair unguided. Emperor Asmaa departs from Hamata Port, about a 2 hours land transfer from Marsa Alam, or Port Ghalib. 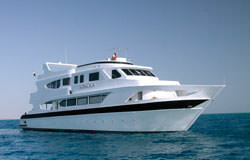 All of our Asmaa trips run for 7 nights with 7 nights spent on board your liveaboard. This is a 21+ DIVES itinerary. You must be a PADI Open Water diver or equivalent to do this trip and you are expected to be able to complete each dive with your buddy or following the guide. The guides may not enter the water and remain onboard as surface support for some dives. We recommend that you hold a minimum of 30 logged dives to get the best from this trip and you should be comfortable with drift dives. Currents can be strong. All your diving is made from zodiacs to give precise entry and exits points. Experienced divers can dive in a buddy pair unguided. All liveaboard itineraries are subject to various unpredictable changes including weather conditions and changes in local Government approval. Whilst our boat operators make every effort, we cannot guarantee diving at specific sites. In adverse weather conditions, the guides and captain of the boat will have the final decision about which dive sites to visit to ensure that the safety of guests, staff and boats is not compromised in any way. Once you have been picked up from the airport you will be met and taken to your transfer bus for your journey down to your port, where you then embark. If you are making your own way to the harbour we ask that you not board before 20:00 There will be a full welcome briefing on arrival and you can set your kit up. If you have prepaid any rental equipment this will be given to you on arrival. There is then your first dinner and you can settle in for the evening. The boat will not leave harbour on this first night. After the boat permissions are sorted, the boat will depart the next morning and the check dive around Fury Shoal will be made. You will have a full day diving on the first day but the boat may return to port to pick up late arriving guests on some trips. 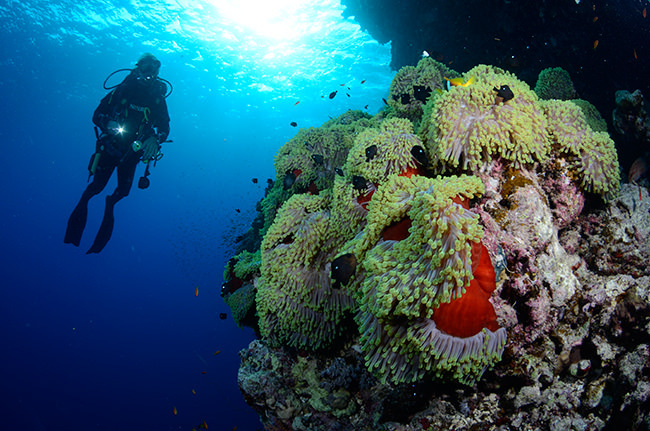 Abu Galawa Soraya is shaped like a doughnut with a spectacular hard coral garden in the middle. In fact, many divers simply spend their dive exploring this shallow lagoon. Macro sightings are most usual here but also look out for octopus hiding in the coral towers. 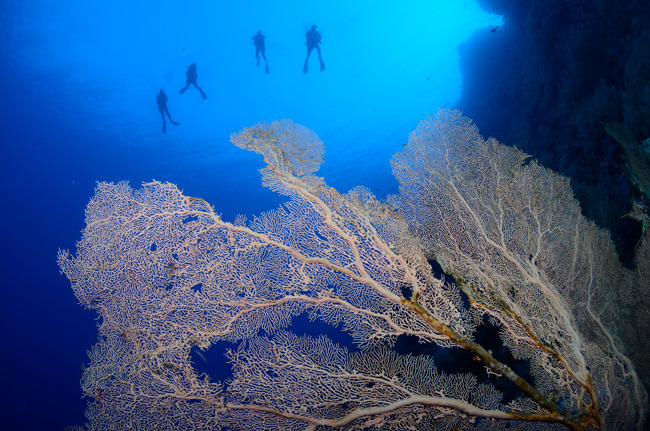 Outside the hard coral lagoon are pinnacles drenched in soft corals. Keep your eyes open for white tips that skirt around the reef about 20m deep. This is where you will also find the wreck of a small sail yacht, listing to one side. This is a photogenic wreck and if you peep inside, there are often swirls of glass fish playing. The sister wreck and reef at Abu Galawa kebir is a small Tien Hsing Chinese tug boat the runs up into the shallows. You can dive this site many ways. 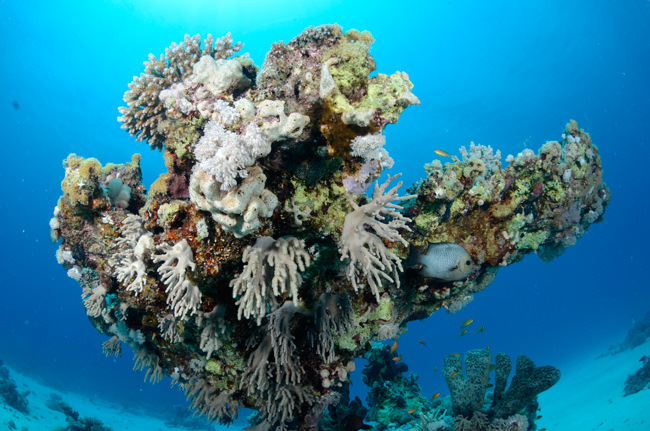 Either focus on the wreck, now smothered in small hard corals and home to many macro species. Or you can take the zodiac to the outer edge of the reef and gradually work your way back towards the boat. There are tunnels to explore and the south plateau is well worth a dive. 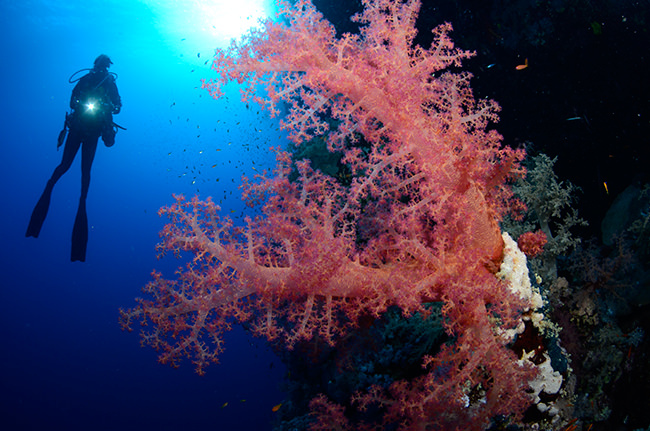 Shaab Claude is always a popular dive and arguably the best hard coral formation in the region. The west side especially is photogenic. The reef is alive with small reef inhabitants but dolphins and turtles are also seen regularly here. The pinnacles at the north mark the upper limit of the reef and you even see occasional zebra sharks here. If you prefer you can concentrate on the extensive cavern system that runs through the entire reef. At an average depth of less than 8m you can safely explore the wandering cavern paths without worry. Light streams in from above and skittish rays dart across the sand. Shaab Maksour is a long thin reef reminiscent of Elphinstone. Early morning dives on either the north or south plateau can yield shark, turtles or even big ray sightings. The north plateau is a steep drop off and great drift dive. 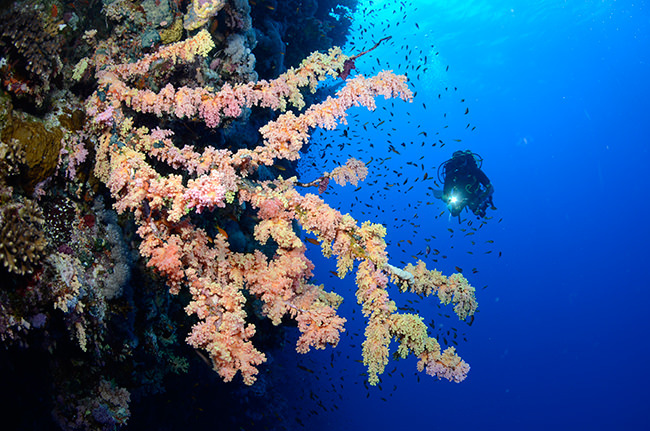 The south plateau is more sheltered from the currents and the soft coral pinnacles are a great way to spend your dive after you have looked for big stuff in the blue. Shaab Sataya is situated at the very south of Fury Shoals, this huge natural lagoon is formed by a massive reef rising from the depths. There are several dives you can do around this one reef. 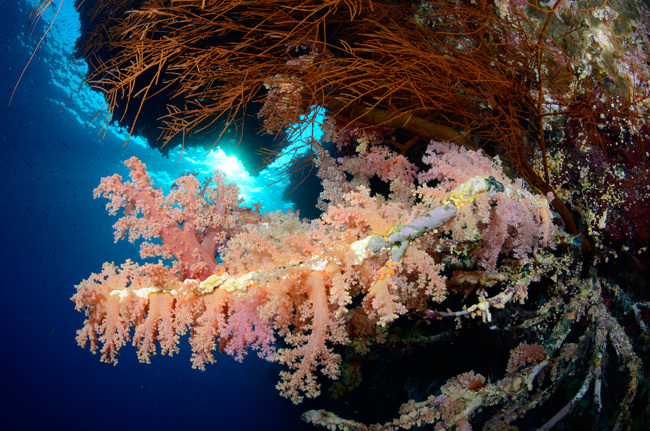 There are steep drop offs along with pelagic sightings and protected pinnacles smothered in soft and hard corals. But the real stars can be the huge pods of spinner dolphins that frequent here, meaning Sataya has become the Dolphin House of Hamata. Further to the south there is an unusual dive over the remains of some Roman amphora lost to the sea many moons ago. The wall dives in St Johns are always a focal point for any diver. Shaab Ali is a long thing reef, slightly below the surface, that can be dived in either direction - or go around the whole thing! Grey reef sharks patrol the deep and it is not uncommon to see manta or dolphin here. 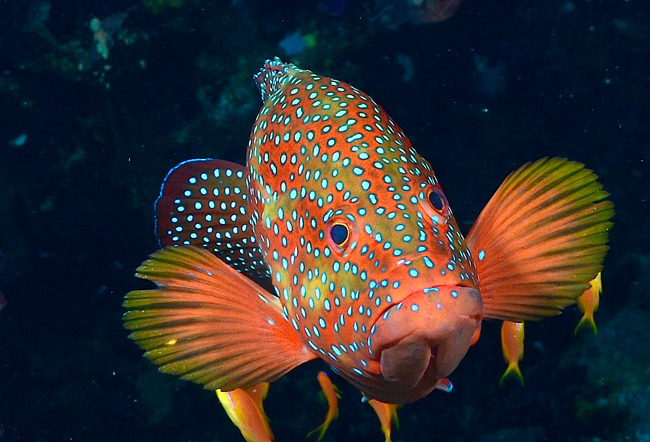 Head into the shallows and look for the humphead parrot fish. 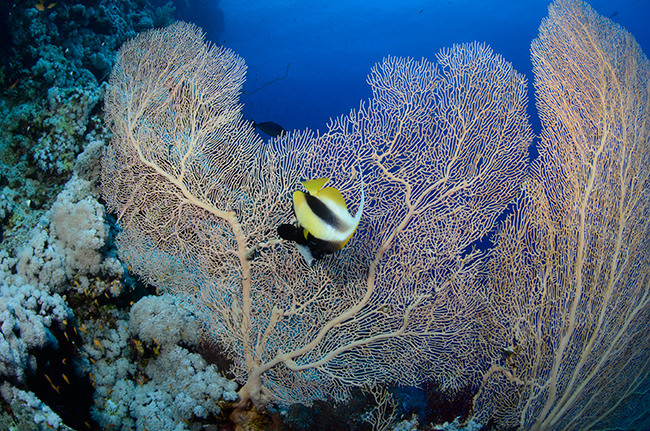 Huge sea fans have grown up in the currents and baby white tips can be found resting on the overhangs. The smaller of the 2 Habilis, Habili Jaffa is an pyramid shaped reef that you can dive around in laps. Hammerheads can be found in deeper water and as you make your way shallower you start to find all manner of camouflage fish hiding on the reef top. Gota Kebir and Gota Soraya are similar wall dives. These large reefs are great drift dives. Head to the outside and go on the hunt for grey and white tip reef sharks. 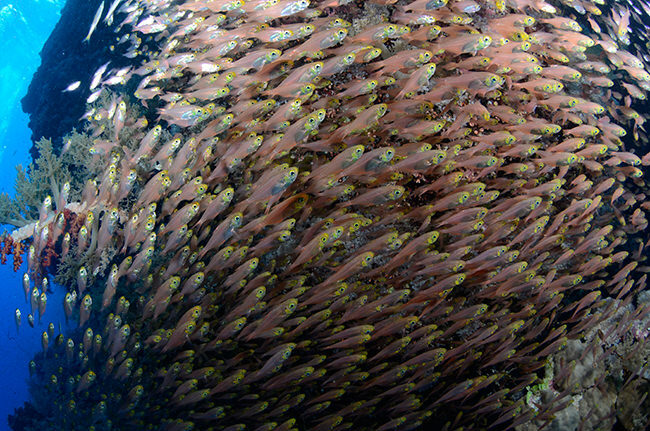 If you head to the south the reef itself cracks and schools of glass fish and sweepers congregate. The tunnels at Gota Kebir are ideal if you have never tried cave diving before - shallow with lots of light! 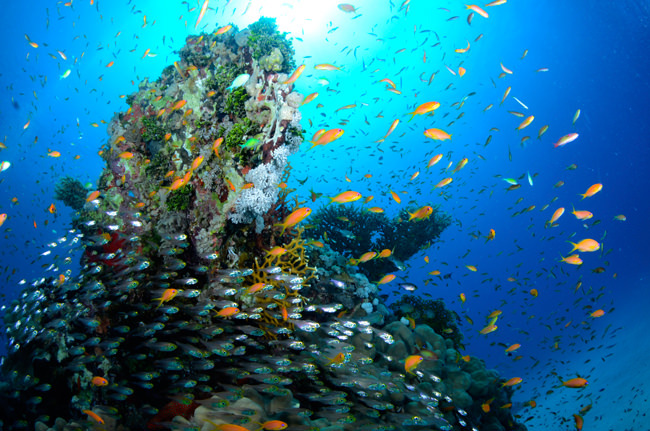 There are several great shallower reefs in St Johns that are ideal for an afternoon dive and night dive. 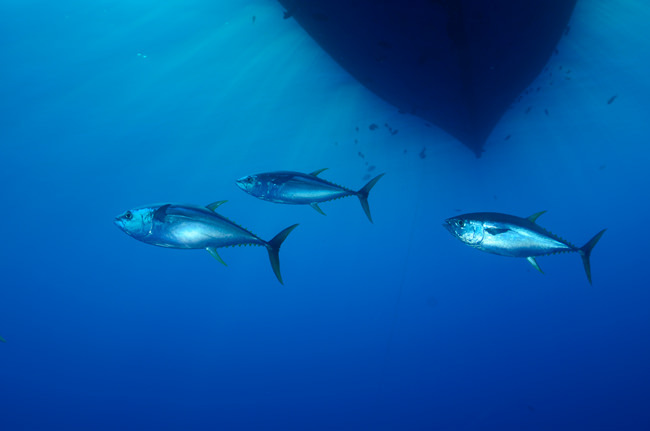 Dangerous, despite its name, can be dived from either the boat or by rib. Wend your way through the large pinnacles and make sure you stop off to play with the friendly clownfish on the entrance to a shallow cave system. Abu Bassala is a dive for anyone that loves clownfish. The pinnacles to the south are smothered in clown fish and splendid anemone drip off the tops. Zabargad Island lies along the western margin of the Red Sea rift with walls abundant with soft coral and spectacular coral pinnacles. A 75m long, intact wreck known as the "Russian Wreck" and believed to be The Khanka, lies 24m in the western bay on the eastern side of the island provides an alternative to reef diving. 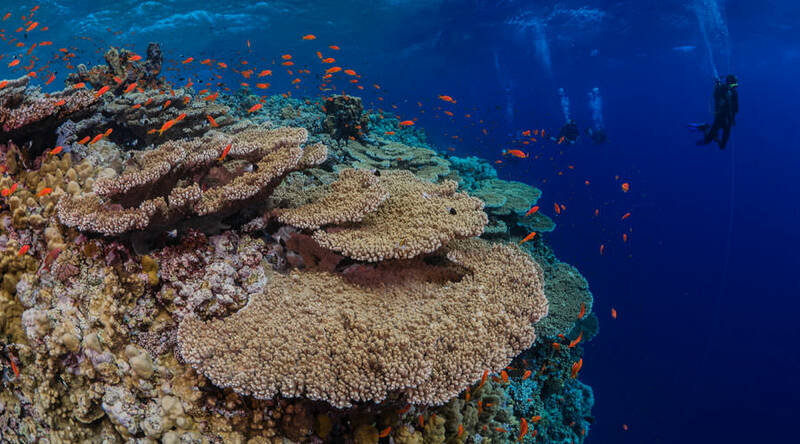 Rocky Island, just 4 NM south of Zabargad, has a fringing reef, sheer walls covered with beautiful soft corals, gorgonias, fans, sponges and black coral trees and vast drop offs in to the deep circle the island. Constant currents flow all year long attracting visitors such as; hammerheads, grey reef and white tip reef sharks, remember to look out in to the blue for manta rays, turtles and dolphins. You will normally leave the boat after breakfast on your last day and be transferred to a hotel for the day. Your final transfer will take you to the airport for your return flight home. Up to 21 dives in a trip! Tour Operator of the Year for 12 years - Voted by you!